The term ‘experimental philosophy’ has been around for a very long time. It began to appear in the titles of books in English in the early 1660s! Early modern x-phi is not the same as contemporary x-phi, but we think that there are important and interesting connections between the two. Contemporary x-phi is a philosophical methodology that applies both scientific experiments and the tools of analytic philosophy to philosophical problems. Its main domains of application are the philosophy of mind, the philosophy of perception, and moral philosophy. Early modern x-phi and contemporary x-phi have at least one very important thing in common. The early modern experimental philosophers were fed up with speculations and theories about the world that were based on untested or untreatable principles: contemporary experimental philosophers are also tired of philosophical arguments about, say perception, that are based on premises on people’s intuitions that are either untested or in some cases have been shown to be false by scientific experiments. But there are also important differences between the two. For instance, early modern x-phi was an all-encompassing approach to the study of nature, a scientific method if you will, whereas contemporary x-phi is more modest in its aspirations (though some see it as supplanting traditional philosophy). Furthermore, early modern x-phi went through various incarnations because key methodological notions such as hypothesis, experiment and confirmation were stilly being clarified. For example, for its first four decades the early moderns thought that experimental philosophy should be done using the method of Baconian natural history. The success of Newton’s Principia changed all that. By contrast, contemporary x-phi has a sophisticated and robust set of methodological practices and principles on which to proceed. We are no experts in the new experimental philosophy, but as we explore aspects of its old incarnation in the next posts, we’d be delighted to hear your views on how it relates to its new homonym. Empiricism is often regarded as the characterising feature of modern scientific method, and, in those approaches to psychology and the social and economic sciences that seek to model themselves on successful scientific practice in the physical and life sciences, it often acts as a model of good practice. Yet what is advocated is a very simplified model in which a rarefied notion of method as value-free inquiry is presented as the essence of empiricism. The failings of such a conception have long been evident, but the motivations behind the various forms of empiricism have remained obscure. The conference will explore new avenues to the original form of empiricism and show how it was able to directly engage questions of value in a novel and revealing way, and how its connection with ‘hard’ sciences was not merely to provide a methodological gloss on these, but went to the core of what scientific explanation consisted in. Philosophers from the early modern period (from Descartes to Hume) are normally divided into Rationalists and Empiricists. Yet this distinction was developed by post-Kantian philosophers from the late 18th century. In this research project we are exploring the hypothesis that there is a far better way of approaching early modern philosophers. Our central thesis is that the most common and the most important distinction in early modern philosophy is that between Experimental and Speculative Philosophy. This is a distinction that many of the actors actually used, and, we claim, it can explain all that the traditional distinction can explain and more besides. , but the Materials are such as can promise no lasting one. Dunton’s comment in a student text reflects the fact that this distinction was very widespread within natural philosophy. Indeed it is to be found in the writings of almost all of the leading British philosophers in the late seventeenth century, including Locke, Boyle and Newton, and many continental philosophers as well. Moreover, by the mid-18th century this distinction between experimental and speculative philosophy had found its way into other branches of philosophy, such as moral philosophy, aesthetics and the study of the understanding. The experimental-speculative distinction thus provided the fundamental terms of reference within which some of the most important developments of early modern philosophy took shape. We are Peter Anstey, Juan Manuel Gomez, Alberto Vanzo and Kirsten Walsh. 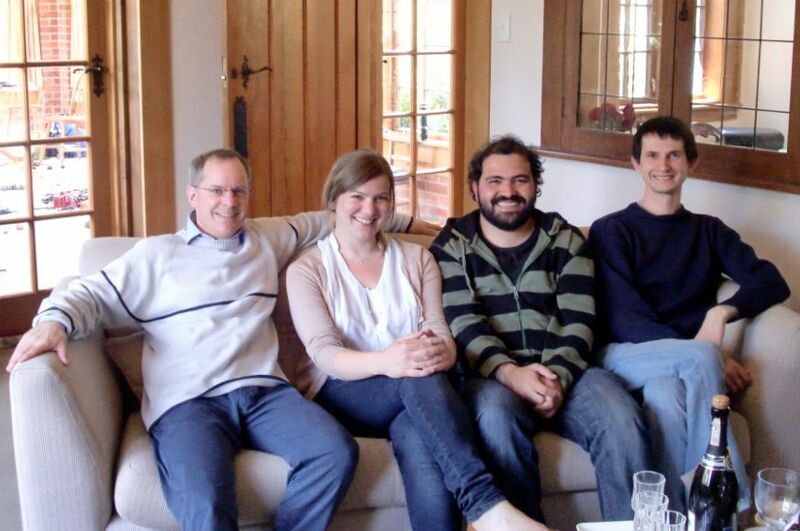 We are four students of early modern philosophy based at the Department of Philosophy of the University of Otago in New Zealand. This is the blog of our research project which is entitled “Experimental Philosophy and the Origins of Empiricism”. You can read a description of our project here. In this blog, we would like to share and discuss our ideas and research with you. We’ll also let you know about forthcoming events and recent publications which are relevant to our research. Whether you are a philosopher, an intellectual historian, a historian of philosophy or science, or you just have an interest for figures such as Boyle, Locke, Newton or Kant, we hope you’ll find these pages interesting. We would love to hear from you if you have any feedback, comment, or suggestion. Feel free to leave a comment on these pages or to drop us an email. Also, you can subscribe to the mailing list or to our RSS feed or follow us on Twitter if you’d like us to let you know when we publish new posts. Thanks for stopping by, and happy browsing!